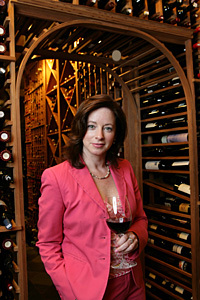 She’s one of only 21 women among 174 master sommeliers around the world. 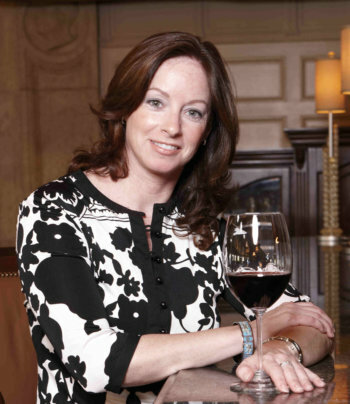 Virginia Philip, master sommelier of The Breakers Palm Beach, is a pioneer, being one of only 21 women among 174 master sommeliers around the world. It’s no easy feat to be an expert on wines, not to mention being in a largely male dominated industry. Upon joining The Breakers, she has been instrumental to the growth of the resort’s collection, now numbering 28,000 bottles to serve all of the resort’s nine dining facilities. 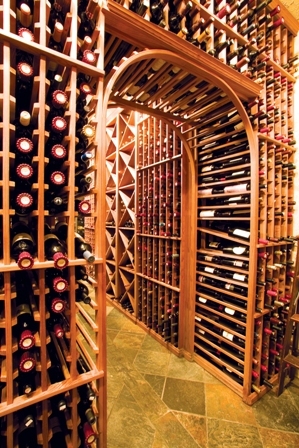 She currently holds this position, maintaining a 1600-selection wine list, as well as prodigious display wine cellar featuring 7,800 bottles. Urbanette Magazine: Was there any pressure at all trying to achieve these distinctions, or did they come as naturally as you love to study wine? Virginia Philip: With great accomplishments comes a great deal of sacrifice and pressure. 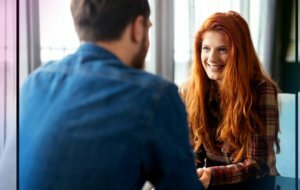 Normally, this type of pressure can come from co-workers, peers as well as family members. For me, I usually put more pressure on myself than anyone else. I continue to do so today. The relief and sense of awareness of passing comes immediately but the pressure hangs around a bit. Then one day you wake up and think, Wow! I did it. With the James Beard Award Nomination, I did not do anything that I am aware of. It was harder for me because I have no control of the awards process other than to be myself and keep my fingers crossed. I was so honored to have been nominated. This is not a great recipe for a wine career where nights, holidays and weekends are the norm. At my level, a great deal of travel is also involved. Urbanette: How did you arrive at this profession? Virginia: My journey was a fairly typical one. I went four years to Hotel Restaurant School at Johnson & Wales in Providence, Rhode Island. I had already started my experimentation with wine as I never drank beer. As a child, we would get small sips of wine mixed with water at holiday meals. Once I started a wine class at college, that was it for me. I never looked back. The subject was so vast, interesting and fun, I knew I would go that route. Urbanette: What led to you to working with The Breakers? 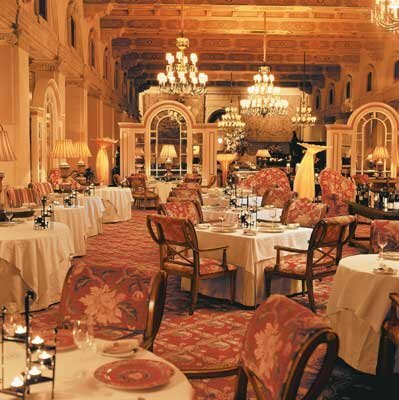 Virginia: My twin sister was married at The Breakers. I figured while I was there, why not interview? A year later in late 2002, I was hired to help launch the wine program for the new restaurant L’Escalier. 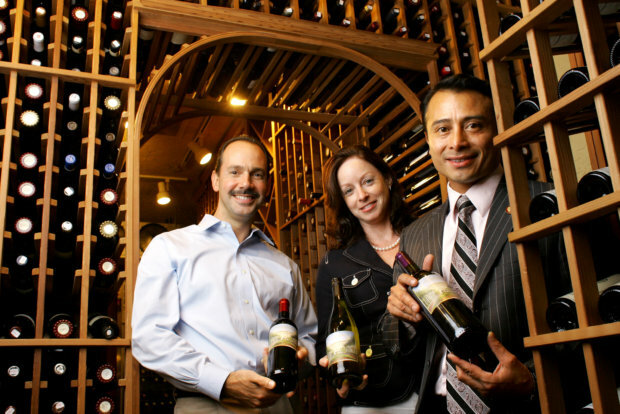 From there, I progressed to overseeing all of the resort’s lists and in 2003, became the Wine Director. Urbanette: If you were not in the wine industry, what do you think you would have had as a career? Virginia: I cannot imagine anything else. I truly cannot. Urbanette: How is it thriving in an industry dominated by men? In what ways do you notice the fact that the industry is male-dominated? I find myself the only woman around the table or in a group tasting frequently. I am here in London as I am writing this with 200 judges from all over the world. So far I have been the only woman two days in a row at my judging table as have many of the other tables. Virginia: I do not think it is as dominated today as it was when I first started. That being said, I find myself the only woman around the table or in a group tasting frequently. I am here in London as I am writing this with 200 judges from all over the world. So far I have been the only woman two days in a row at my judging table as have many of the other tables. Women get married, have children and are expected to be the primary care taker. This is not a great recipe for a wine career where nights, holidays and weekends are the norm. At my level, a great deal of travel is also involved. Urbanette: How does a woman stay at the top of the ranks? Virginia: The same way any man does – stay involved, treat people with respect and stay on top of all new rule and winemaking regulations. Of course it helps that I am only 1 of 21 women in world so I am a bit unusual and therefore, the spotlight seems to follow me around a bit. I am also always pushing myself to do more with my life and career. Urbanette: Do you have any inspirational advice for all the women out there who would like to follow in your footsteps? Virginia: The journey can be difficult. That being said, women have so much to offer in our industry. Stay focused, do not be afraid to take chances – especially when you are young. Sometimes leaving your safety zone can be overwhelming but you can always go back there if you take a mis-step. Never compromise your integrity – at the end of the day, you will have to answer not only to others, but more importantly, yourself. Urbanette: Where is the best place to begin becoming a sommelier and how would they thrive in the industry? Virginia: In a restaurant or hotel. Working a bit in retail really expanded by breadth of knowledge and I became a fine-tuned sommelier. Wow! I cannot believe there are only 21 female sommeliers in the world. That is not what I would expect! Interesting interview with a talented woman who has risen to the top in the male dominated field of sommeliers. I’ll bet she’ll live for a very long time. Wines are supposed to help you live longer.